distribution Throughout the mountains and Piedmont, and over the western half of the Coastal Plain, barely reaching the counties along the western part of Albemarle Sound. abundance Fairly common, to locally common, over the mountains and Piedmont; uncommon in the Coastal Plain, with but one recent report. More numerous in the mountains than downstate. flight Early May to late August in the mountains, and likely so also downstate. However, Piedmont records fall only from mid-May to mid-August, and Coastal Plain records only to mid-July. habitat A variety of lakes and ponds, typically with emergent vegetation. 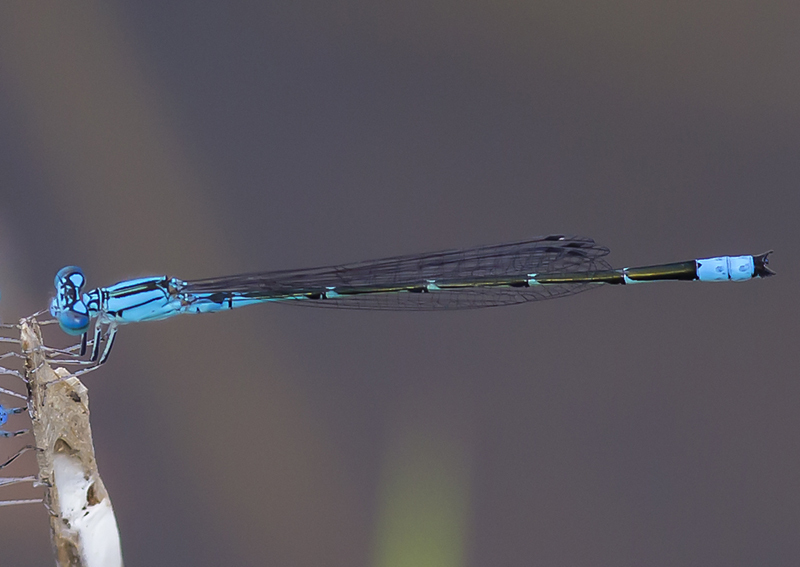 comments As with so many of our damselflies, there are few people looking for them in recent years in the Coastal Plain; thus, it is no surprise that there are collection records for about half of these counties, with but a single recent flight date record. Comment: Mecklenburg, 2017-06-13, - Roosevelt Wilson Park in Davidson, NC. Many mated pairs.